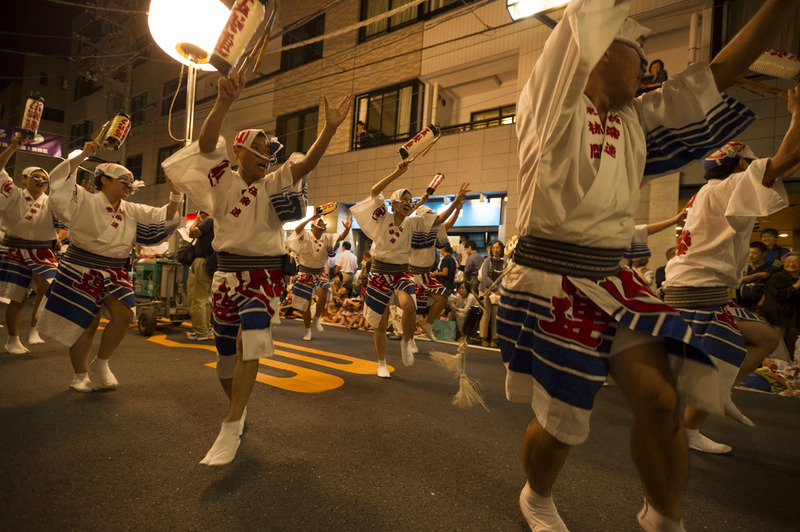 Last Saturday was the grand Koiwa Awaodori festival, perhaps one of the first, bigger Awaodori festivals in central Tokyo of the year. 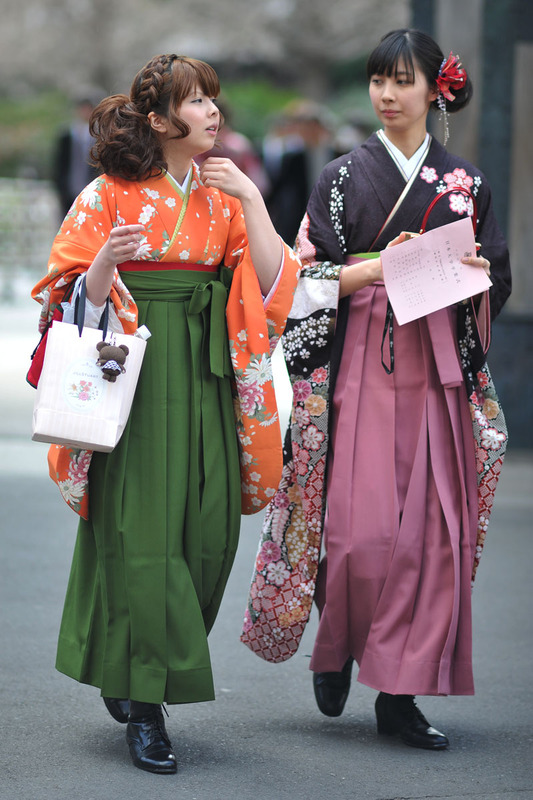 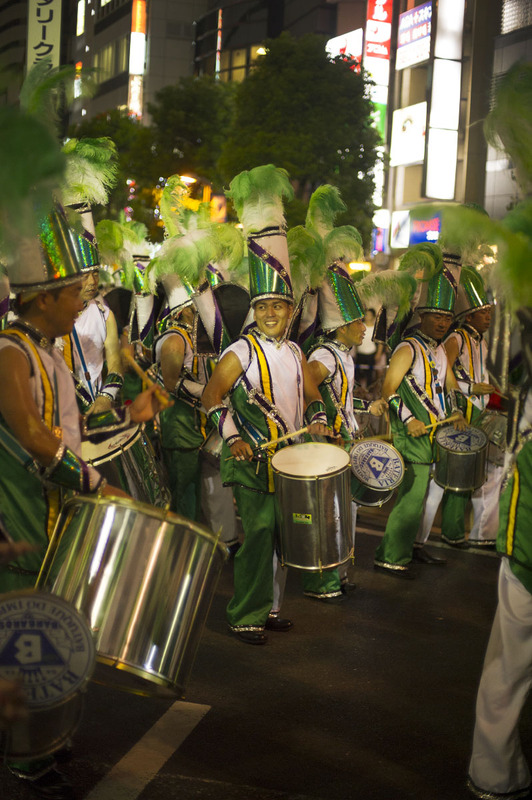 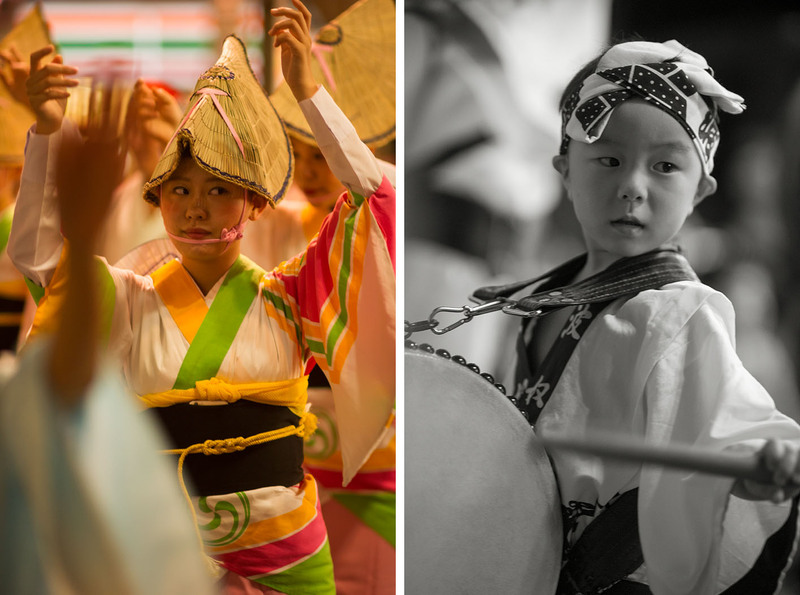 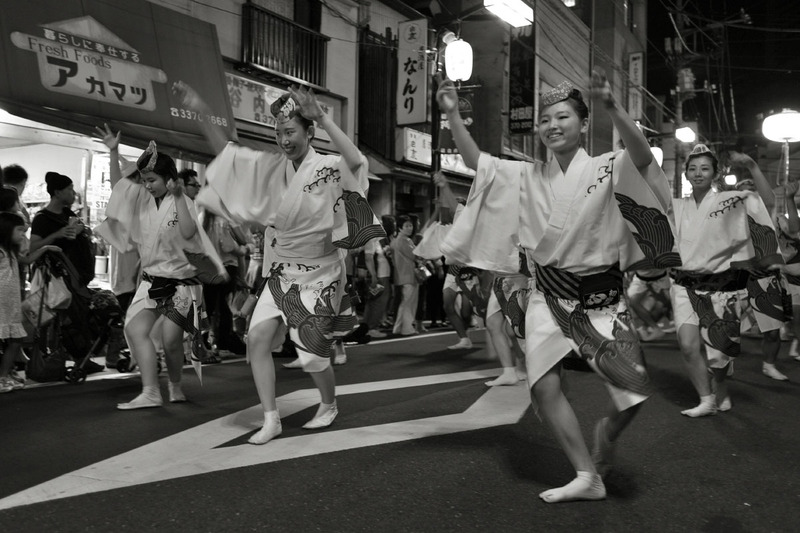 This was only the second annual festival, making it one of the youngest festivals of this kind in Tokyo. 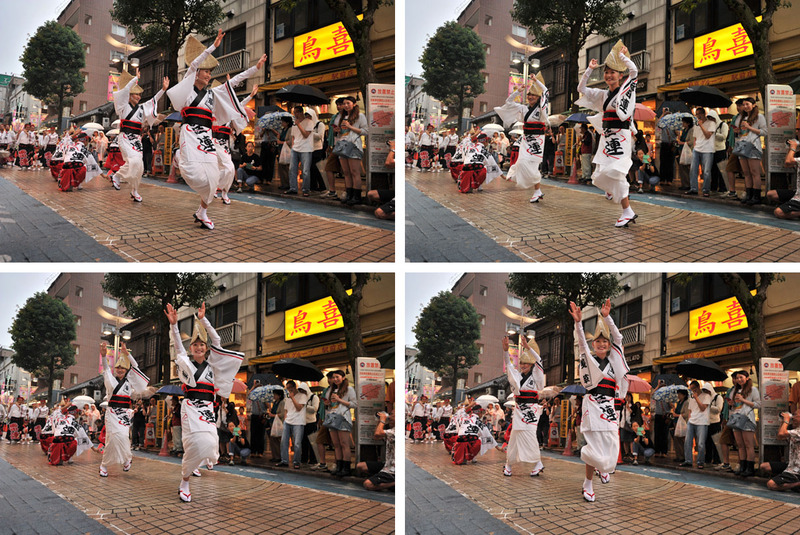 True to form, this year the rain was pouring down just like on the inaugural event last year! 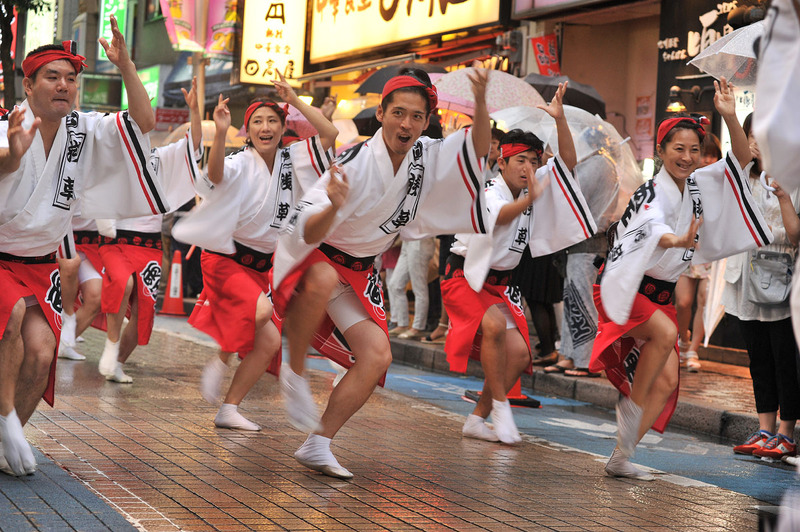 The dancers and musicians of this traditional dance from from Tokushima Prefecture in southern Japan held strong though and danced the entire two hours of the main event, despite the pouring rain. 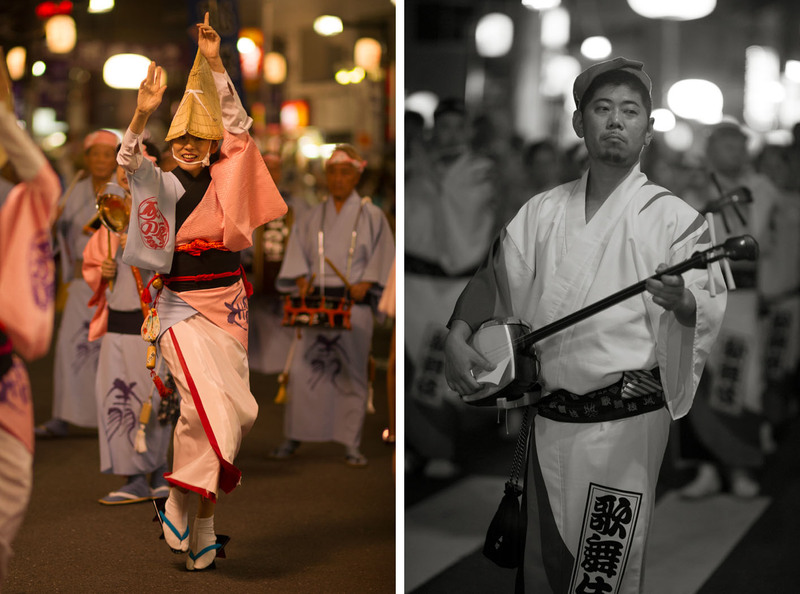 I took these photos in the beginning of the festival, of the famous Asakusa Kaminariren (浅草雷連) and the new for me but excellent Eboshiren (笑星連) from Kanagawa Prefecture. 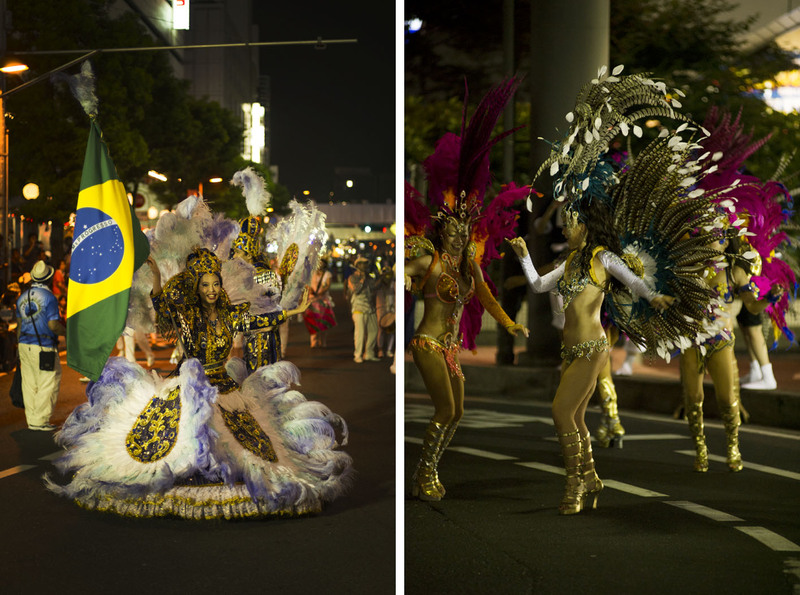 Both teams were excellent in high form! 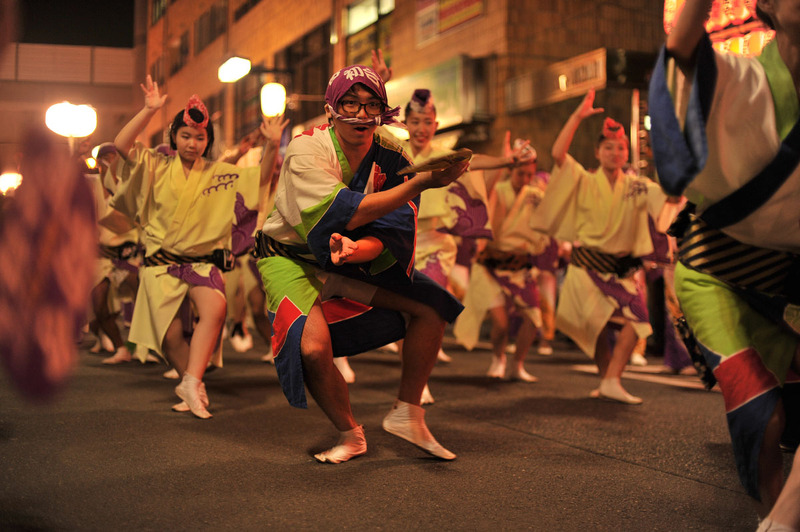 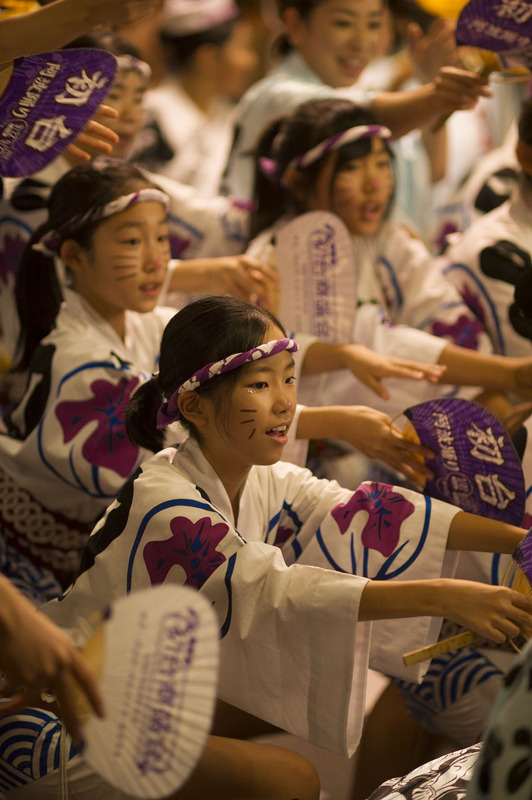 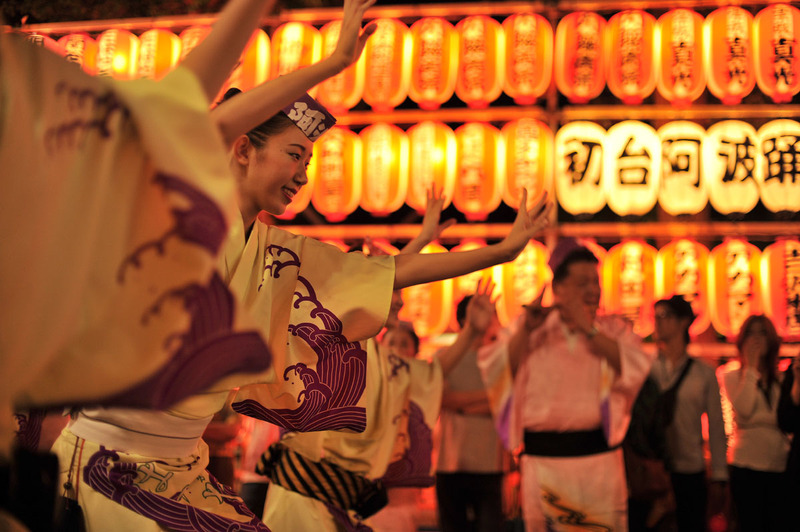 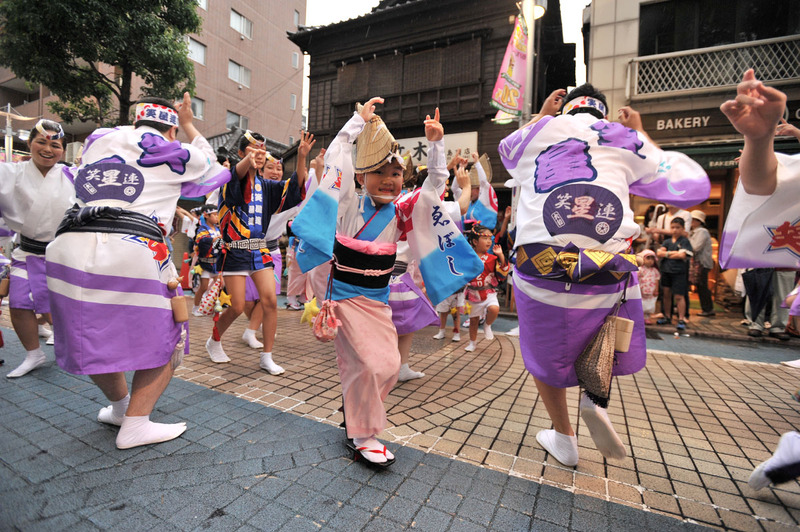 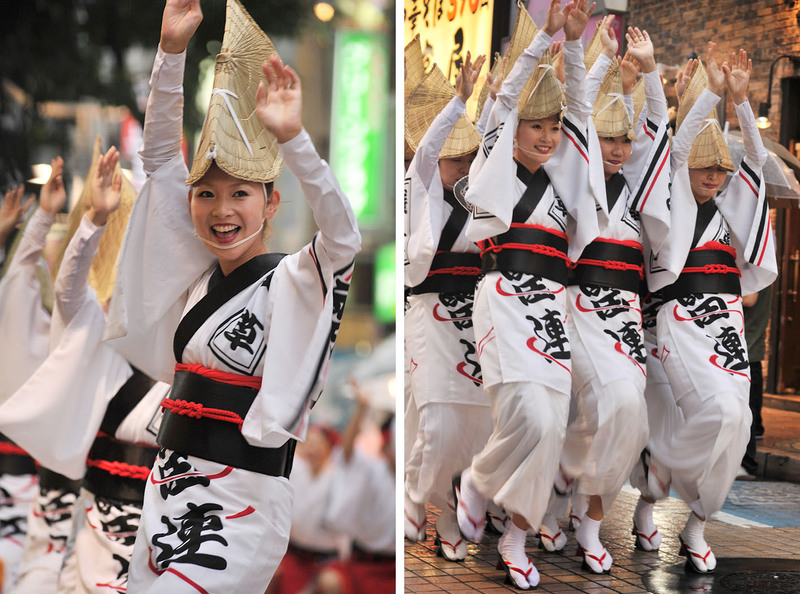 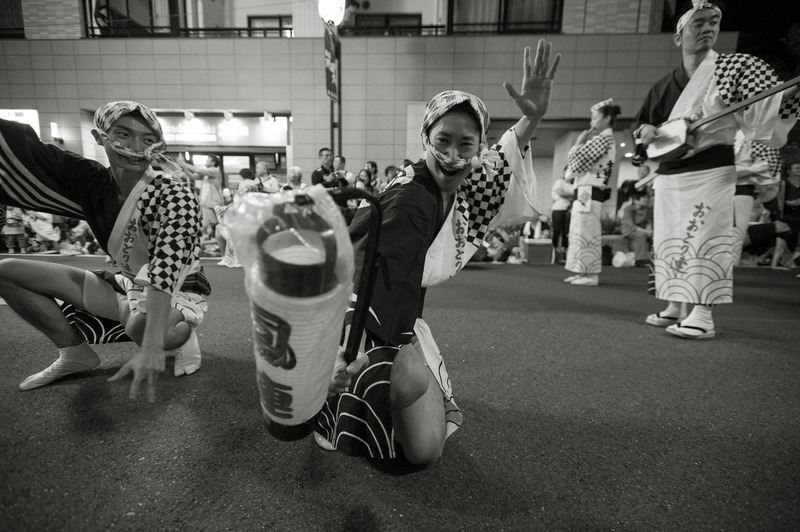 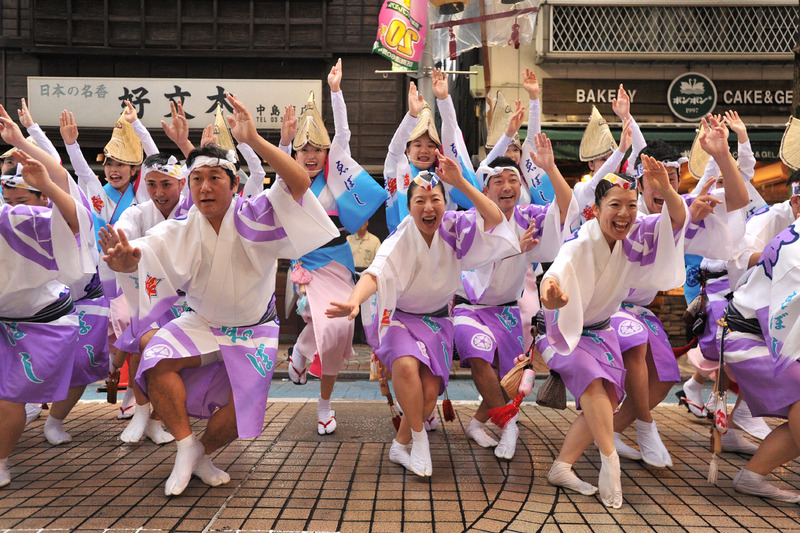 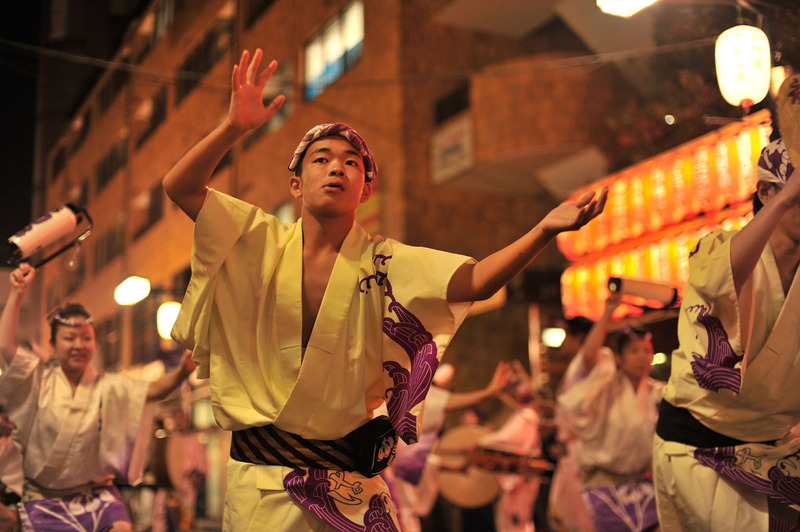 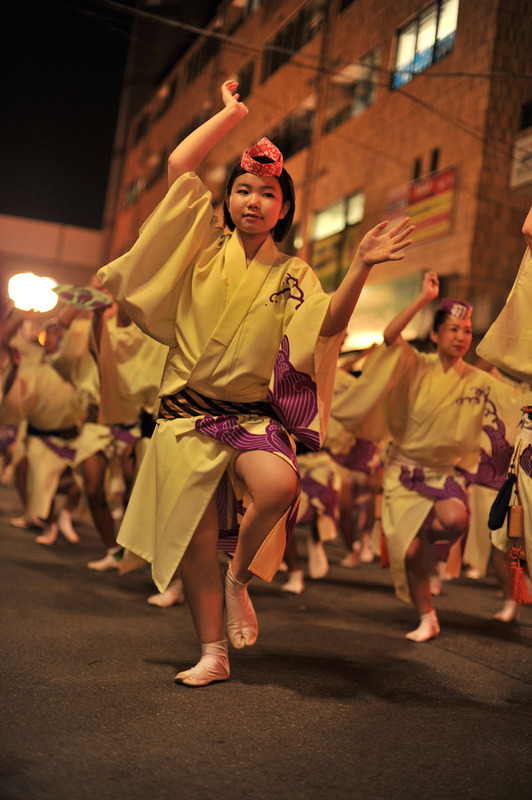 As soon as the rain period ends the Awaodori season here in Tokyo beings in earnest – I can hardly wait!